We are happy to introduce our new (used) company truck. Big enough to haul most anything (5th wheels, goose neck trailers, horse trailers or bumper pulls). Big or small, long distance or short, we are happy to help. 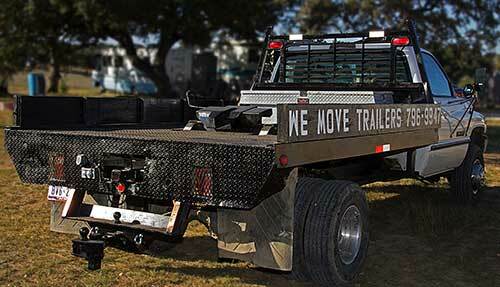 Let someone who knows about trailers move yours. Please contact us with any questions you have.